Main items in this Art in Manchester are: Sonia Boyce’s new exhibition at Manchester Art Gallery, Scaffold Gallery’s Exhibition at Islington Mill and a celebration of words and art at The Portico Library. which celebrates their first secretary Peter Mark Roget of thesaurus fame! and with art by Jez Dolan, Rowland Hill, Jonathan Hitchen. An exhibition I’m really looking forward to is Manchester Art Gallery’s first retrospective exhibition by leading British artist Sonia Boyce, focusing on work from the mid-1990s to the present. The exhibition will reflect Boyce’s move from her earlier drawing and collage which explored her own position as a black British woman, towards more improvised, collaborative ways of working. These unpredictable, open processes have been documented through a range of media such as photography, film and wallpaper. 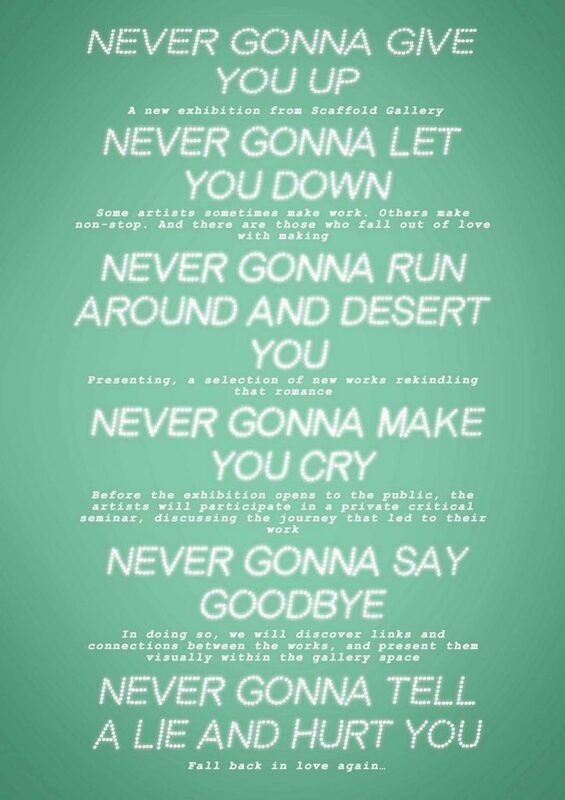 Manchester Art Gallery has also commissioned Boyce to make a new collaborative performance work for the exhibition. Six Acts (2018): Sonia Boyce is fascinated by ‘what people do when they come together’. In January 2018 gallery users and staff took part in an evening gallery takeover with invited artist-collaborators Lasana Shabazz and drag artists from Family Gorgeous: Anna Phylactic, Cheddar Gorgeous, Liquorice Black and Venus Vienna. The takeover followed a series of group conversations including gallery staff and volunteers in the 18th and 19th century galleries exploring intertwined issues of gender, race and sexuality. As part of the takeover performance, the painting Hylas and the Nymphs by JW Waterhouse was temporarily removed from the gallery wall and replaced with a series of questions to open up a wider discussion about the themes discussed. Boyce is working with the documentation or ‘remains’ of the takeover and the many and varied responses, to create a new artwork called Six Acts, which will be shown for the first time in the exhibition. For You, Only You (2007) is a film of a collaboration between sound artist Mikhail Karikis and the early music choir Alamire, exploring the relationship between early music and contemporary sound art. 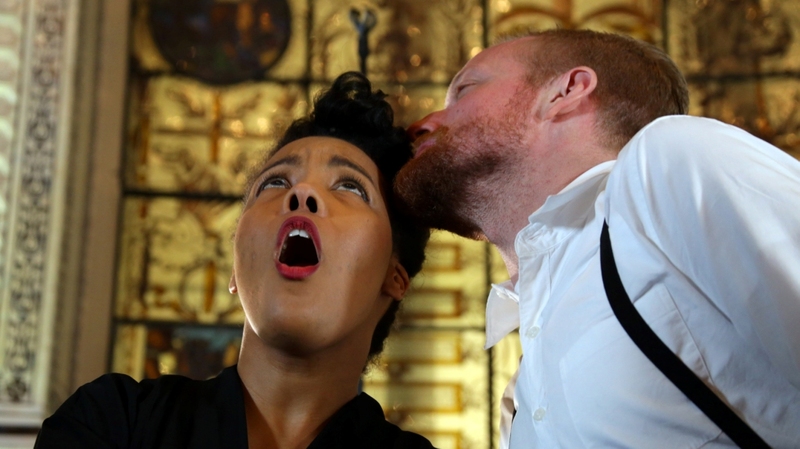 Exquisite Cacophony (2015) is a film of an improvised encounter between indie rapper Astronautalis and vocal artist Elaine Mitchener. Their spontaneous interplay explores tensions, slippages and revelations resulting from mixing sounds and words to produce a cacophony. 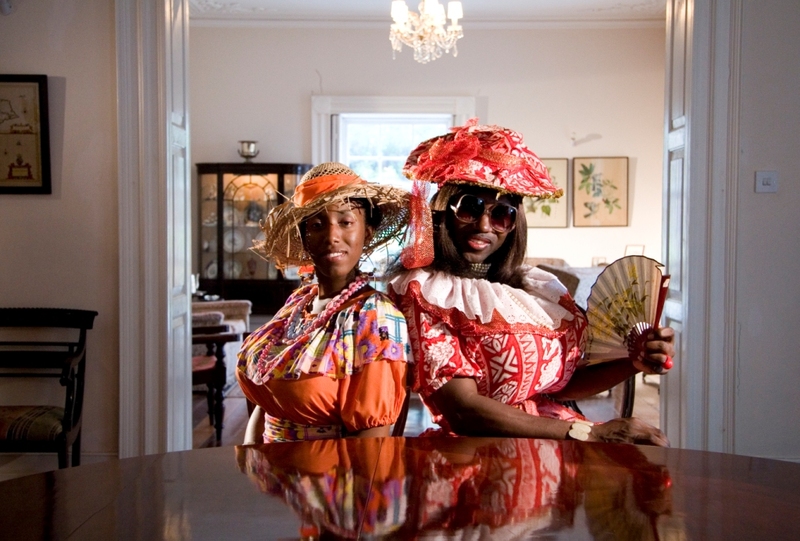 Crop Over (2007) responds to the Crop Over festival in Barbados in relation to the history of Harewood House in Leeds, and its role in the Transatlantic slave trade, moving from contemplative mood to the world of masquerade and the carnivalesque. 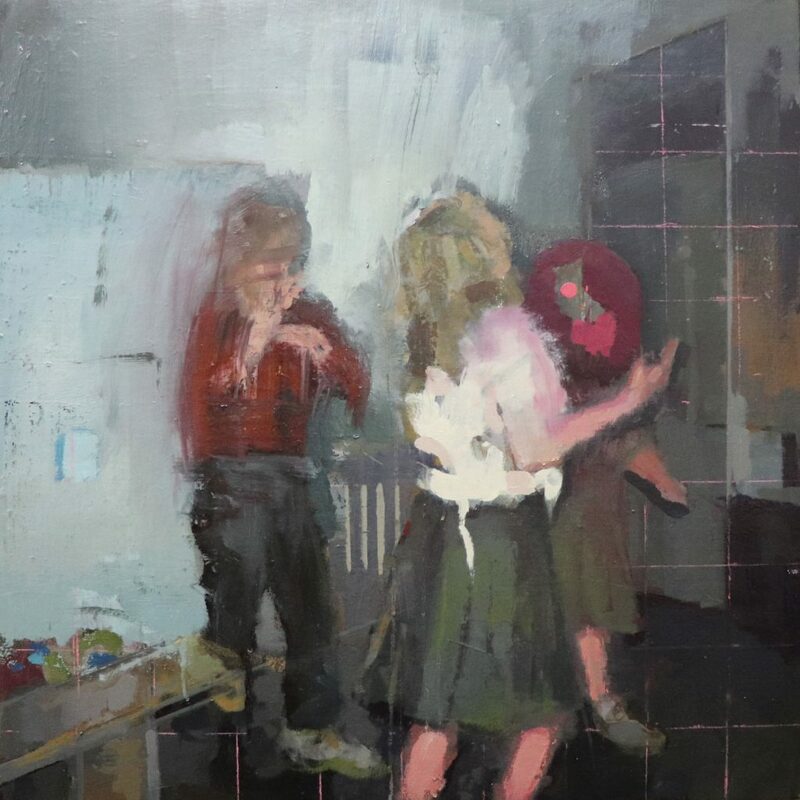 The exhibition will also acknowledge the connections Boyce already has with Manchester and the North West, re-visiting earlier career developments in her practice and bringing these earlier works back into the public domain to be experienced and interpreted in a contemporary context. The Audition (1997) contains over 900 photographs of individuals invited to try on afro wigs and was made at Cornerhouse during Boyce’s residency at The University of Manchester in 1997-8. Devotional Collection is an archive of sound, ephemera and wallpaper relating to black British women in music and is an ongoing project which began at FACT, Liverpool in 1999. Over her 35-year career, Boyce has achieved international and critical acclaim. 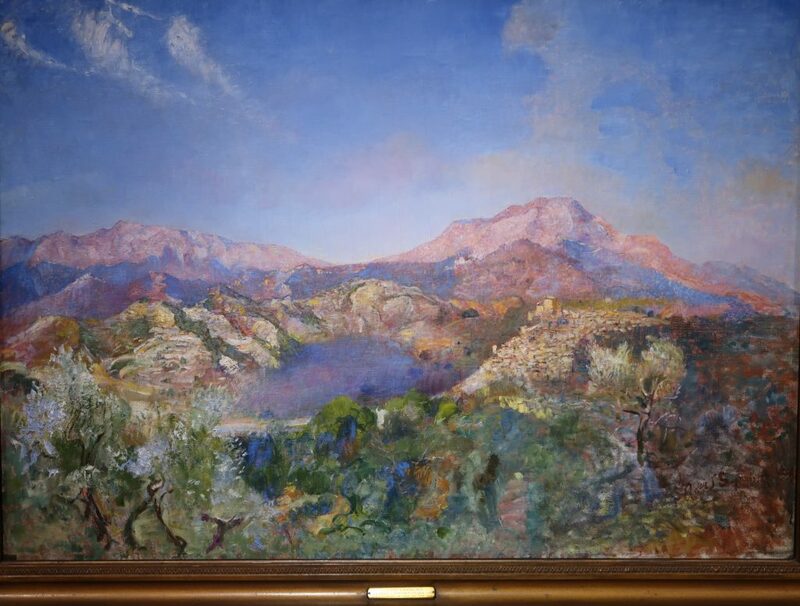 She is represented in the permanent collections of Tate, Arts Council England, the Victoria and Albert Museum, and the Government Art Collection. 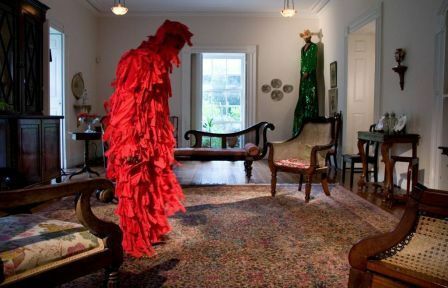 In the last ten years, she has exhibited widely, including at Barbados Museum and Historical Society, Moscow Museum of Modern Art and the 56th Venice Biennale. In 2007, she was awarded an MBE in the Queen’s Birthday Honours list for Services to Art, and in 2016 she was elected a Royal Academician. The private view is 7-9pm, Thursday 22nd March at Islington Mill, James Street, Salford M3 5HW. 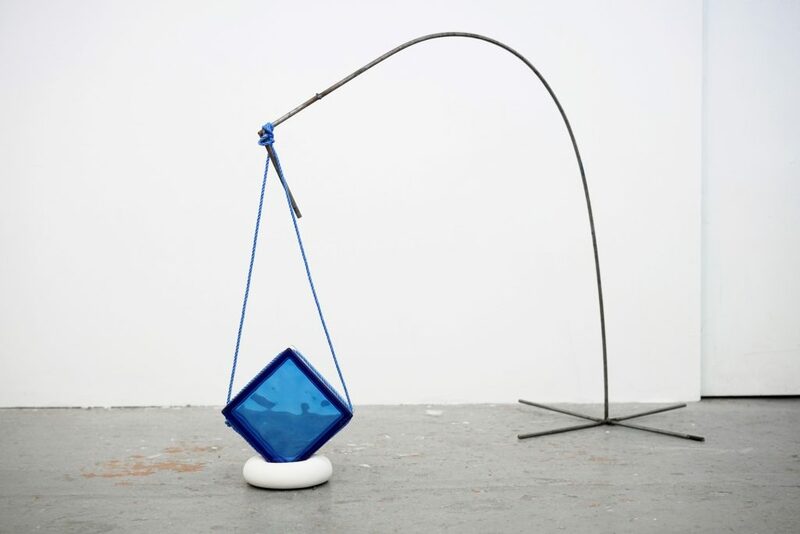 The exhibition includes new works from the artists Carly Bainbridge, Henry Northcroft Brown, Emily Harbot, Jenny Hewson, Sarah Kasumi Dean, Tom Lambe, Annie Leader, Tara Patel, Isobel Scott, Jordy Smith, Aimee Walker. The Portico Library’s first Secretary, Peter Mark Roget, was a medical doctor, inventor, linguist and mathematician. His contribution to the English language is hard to overstate, with over 30 million copies of his eponymous Thesaurus empowering generations since its first publication in 1852. 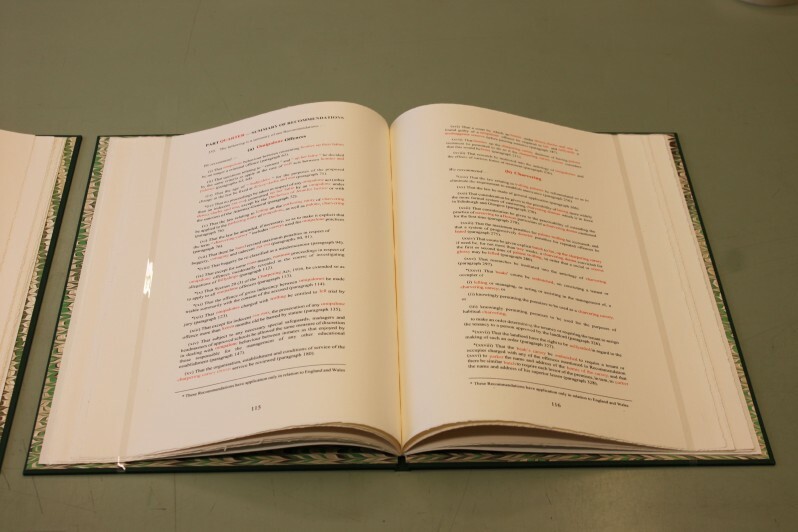 The Thesaurus was designed, in his words, “to facilitate the expression of ideas” and as such has played a significant part in our ability to communicate, and to negotiate the perils and possibilities of language. As part of the Portico’s 2018 Information is Power project, three contemporary artists have created new works based on research into Roget’s legacy – the role of vocabulary in the 21st century; the power of words; the uses and abuses of text and speech. 3rd April to 12th May 2018. Preceding the opening event on 29th March, Nicola Dale’s artist film, Close Readings, will premier at Manchester Art Gallery at 6pm. Jez Dolan explores queerness and identity through the codification of language, with a specific focus on secrecy and hiddenness. His study of The Portico Library’s collection has unearthed eclectic volumes on subjects from handwriting and lithography to a survey of British seaweeds, which have inspired new, site-specific works. 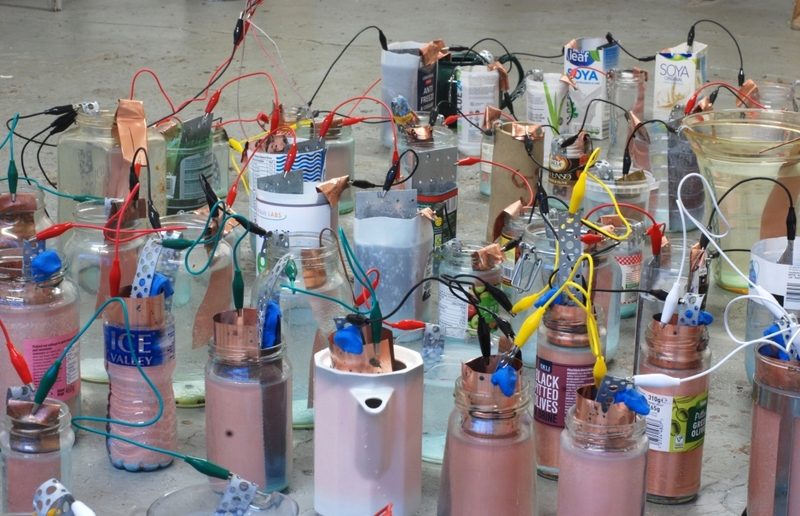 Rowland Hill works in performance, sound, moving image and text. Hill’s new work at The Portico Library gathers found fragments of text, including from Nathanial Drake’s The Gleaner, Dibdin’s Bibliomania and The Life of Colley Cibber, arranging them to create a discourse around language and power; re- working the collection and presenting it back in the form of a series of self- published books and performances. Jonathan Hitchen is a graphic artist, book designer and Senior Lecturer in Graphic Design at Manchester School of Art. For In So Many Words he presents a visual survey of the structure and design of Roget’s Thesaurus, examining the Tabular Synopsis of Categories from the first edition of the book published in 1852. Looking Forward is Saul Hay’s first exhibition of 2018 and follows the successful ‘Is Seeing Believing Part One’ This new exhibition features six artists with the ability to represent our world both real and imagined. Artists: Corey Bartle-Sanderson, Alexander J Croft, Richard Hughes, Precious Innes, Kieran Leach, Sam Porritt, Sara Procter, Gwyn Williams and Alistair Woods. The group exhibition concerns the perfect ‘work/life’ balancing act we are all striving to achieve. Turner Prize nominee and Royal Academician Alison Wilding presents works spanning the past 20 years of her career. 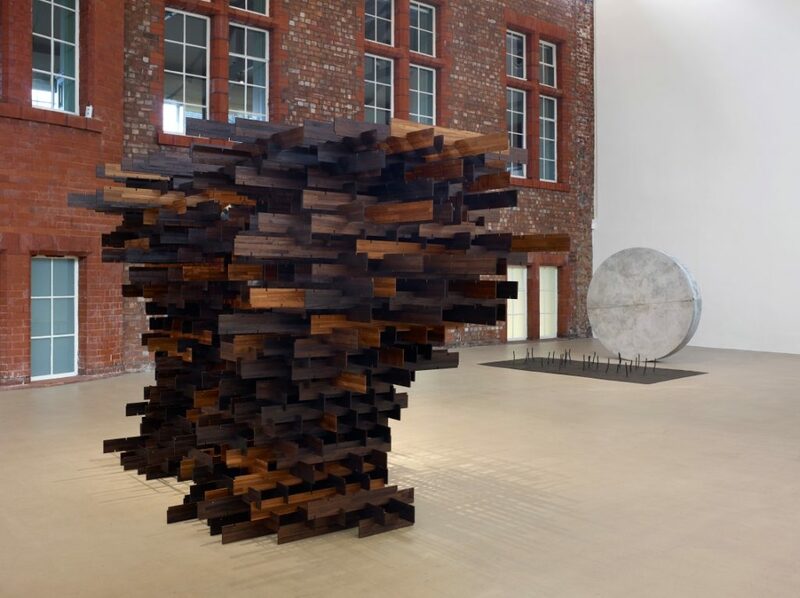 This new show at the Whitworth will consist of three major sculptures, including one, Disposition, from her 1998 series of 16 scenes from The Passion of Christ, gifted to the Arts Council Collection in 2006. Additionally the exhibition will present for the first time ‘In a DarkWood’, a sculpture created in 2012 but never previously shown and Largo, 2002. This is an absolutely cracking exhibition of Annie Swynnerton’s work which I personally really enjoyed, by another Manchester artist most of us have never heard of! Well worth a visit. Paired by Castlefield Gallery, both women’s practice sees them undertake in-depth research projects with the artists often embedding themselves in communities to explore people and place. 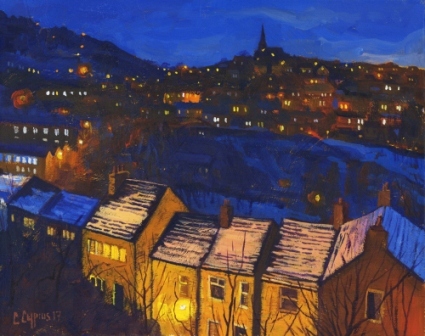 You may have seen the BBC NWT interview with North West artist Chris Cyprus’ work with its accent on capturing the sodium lights of local towns and cities.